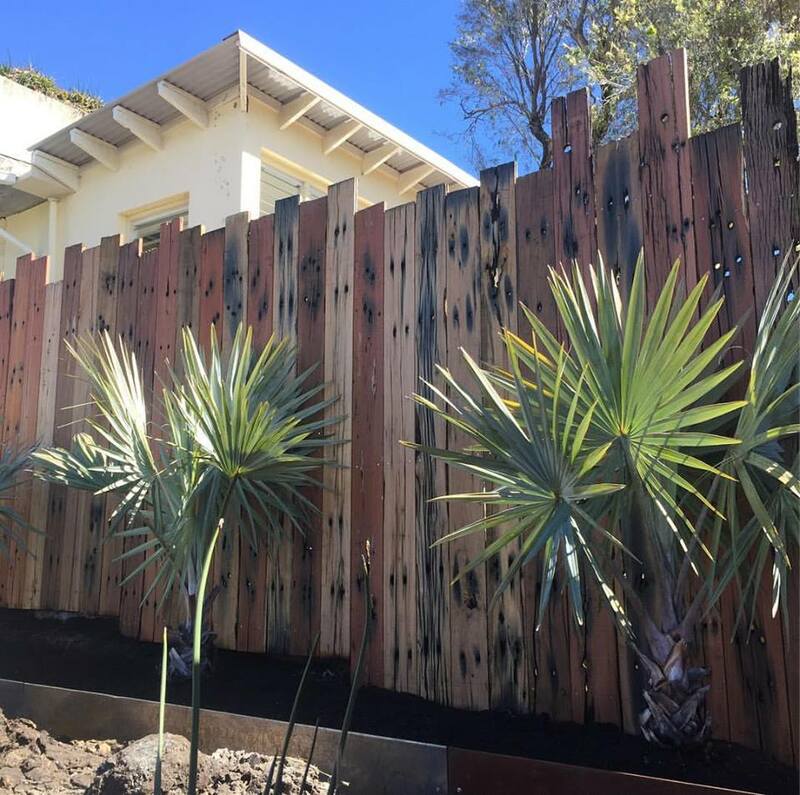 This is our impressive feature wall - made from your wall boards that were shipped down here to Tassie..
Arguably one of the most interesting products we stock, these high feature boards are true pieces of art for those passionate about recycled timber. 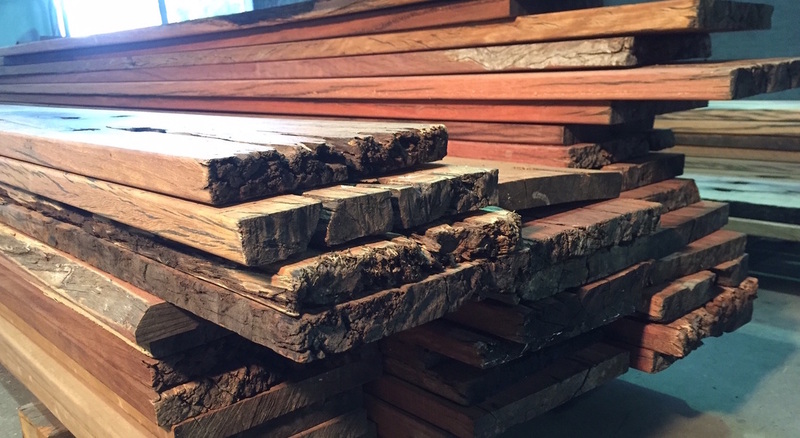 The boards are carefully chosen for their high visual feature and we have various styles, systems and sizes to choose from. The holes, cracks and splits make them stunning to look at, however they do require a bit more LOVE to work with. Are these boards suitable for your application? ​Feel free to call for a chat. 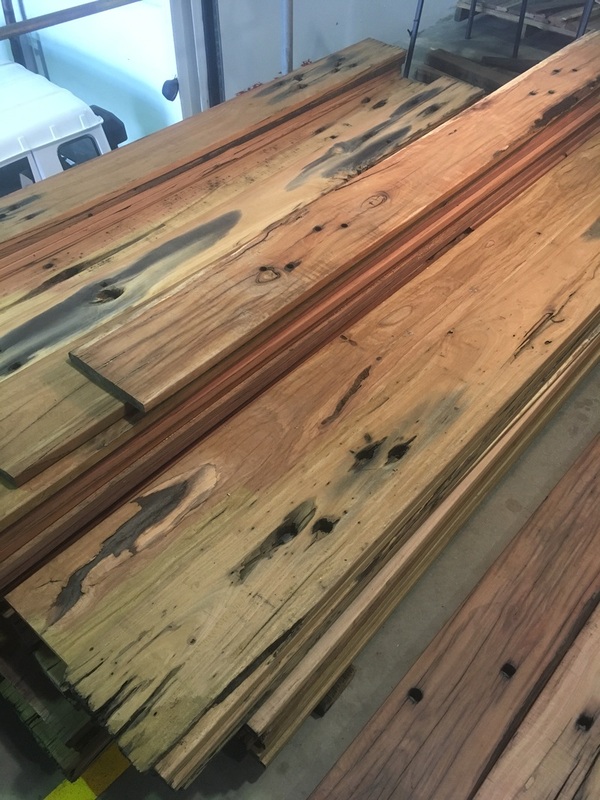 It is important to keep in mind that the features like holes, cracks, splits and stains that make these boards so interesting, also make them less structural. If you're not sure whether these boards are suitable for your application, get advice from our sales team. Loving our new timber feature - not quite finished but couldn't wait to show you! Everyone who comes over love love loves our wall! 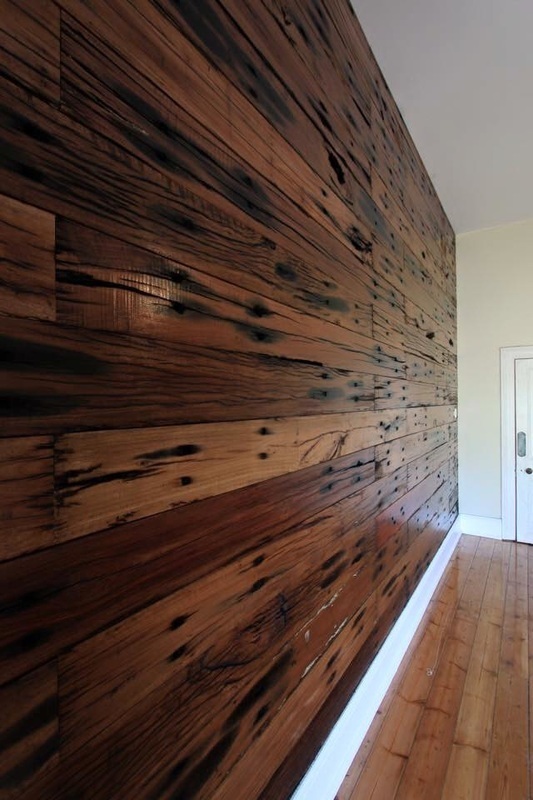 Love the timber - it's beautiful! It makes me smile every day I walk in and see it - couldn't be happier.